Gamescom may be upon us, but PAX West is just around the corner, and you can bet that Nintendo will have a presence. 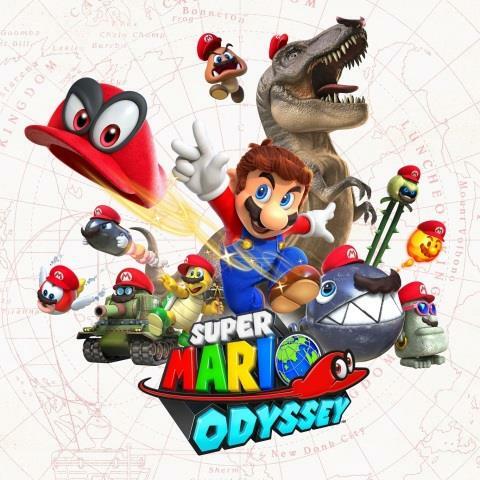 During the show, running September 1-4 in Seattle, attendees will be able to demo Super Mario Odyssey, and can participate in the Mario Odyssey Fan Challenge. Basically, a self-respecting Nintendo fan will participate in various activities to gain passport stamps and if they succeed, they'll receive a gift at the end of the day. 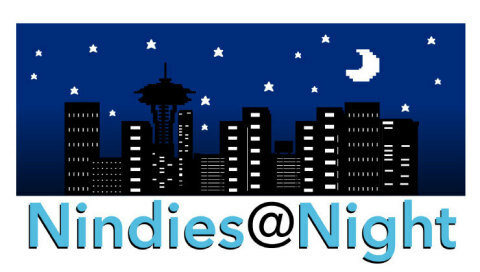 Nintendo is also hosting a Nindies@Night event, 8:30 to midnight on August 31st to kick off PAX West proper. A host of indie games and their developers will be on hand for demos and Q&A. Then on Saturday September 2nd, there will be a Nintendo Minute filmed that focuses on Metroid: Samus Returns, that up to 600 fans can attend. There is even more in the offing so be sure to check the press release for the full schedule of events. REDMOND, Wash.--(BUSINESS WIRE)-- Super Mario Odyssey and Nintendo Switch are two must-haves for the holiday season, so Nintendo is planning lots of activities for both at the upcoming PAX West gaming event Sept. 1-4 in Seattle. Not only will attendees be able to play the Super Mario Odyssey game, but they’ll also get the chance to participate in the Super Mario Odyssey Fan Challenge, which runs every day of the show. Fans must complete certain activities related to the game to receive a passport stamp. Once players collect all stamps, they will receive a Super Mario Odyssey-themed gift, while supplies last. Fans at PAX West will also be the first members of the public to play competitive Nintendo Switch games like Rocket League and NBA 2K18. Nintendo will also have fun activities for fans in attendance to keep them busy, including a live filming of Nintendo Minute focused on the Metroid: Samus Returns game, a Pokkén Tournament DX Virtual Academy fan event and the return of Nindies@Night. To kick things off before the show starts, Nintendo is bringing back the Nindies@Night event, from 8:30 p.m. to midnight on Aug. 31 at Museum of Pop Culture (MoPOP) in Seattle. The event is open to the public and offers a chance for people interested in speaking to developers and checking out unreleased indie games coming to Nintendo Switch. For anyone unable to make it to Nindies@Night at MoPOP, there will be a livestream from the event, including deep dives with developers and a sneak peek at first-ever gameplay. The indie festivities continue in the Nindie Arcade at PAX West, where Nintendo is bringing upcoming indie games to the convention center on the third floor in room 3B. Stop by to play great games and chat with the developers who created them. The Nindie Arcade hours are noon-9 p.m. Friday to Sunday, and noon-6 p.m. on Monday. On Saturday, Sept. 2, up to 600 fans can attend a live filming of a Nintendo Minute segment that will be focused on the Metroid: Samus Returns game. The episode will be filmed 10-11 a.m. in the Hydra Theatre Leonesa I-III Ballroom at the Grand Hyatt Seattle hotel. Kit, Krysta and members from the Nintendo Treehouse will show off new gameplay, reveal new game content and feature fan art. They’ll also have exclusive giveaways of collectable Nintendo Power cover-inspired posters for people in attendance, while supplies last. Nintendo is also hosting a Pokkén Tournament DX Virtual Academy fan event from 6 to 8 p.m. on Sept. 1 at the Sheraton Hotel in the Willow ballroom (second floor). Visitors will have the chance to play the Pokkén Tournament DX game before its launch on Sept. 22. The event will include a tournament, as well as exhibition matches featuring professional video gamers and members of Nintendo’s Treehouse. Games like ARMS, Splatoon 2 and Mario Kart 8 Deluxe have demonstrated how the Nintendo Switch console is the home of social competitive fun. At PAX West, attendees will be able to play additional competitive games like Pokkén Tournament DX, Rocket League from Psyonix, NBA 2K18 from 2K Games and FIFA 18 from Electronic Arts. The Nintendo 3DS family of systems will be on hand at the show, and attendees will be able to play some of the new games headed to the system’s already-huge library. Visitors can check out both Mario & Luigi: Superstar Saga + Bowser’s Minions and Metroid: Samus Returns. For the first time at PAX West, visitors that are also My Nintendo members have an opportunity to check in with their QR Code pattern to receive a My Nintendo Pass. A My Nintendo Pass allows the pass holder to access a priority line with shorter wait times for the Nintendo booth and the Nindies Arcade during specified times. Passes will be distributed on a first-come, first-served basis, and while supplies last. More details will be shared on https://my.nintendo.com/, so stay tuned. For more information about Nintendo’s activities at PAX West, visit http://nintendo.com. Remember that the Nintendo 3DS family of systems and Nintendo Switch feature parental controls that let adults manage the content their children can access. For more information about other features, visit http://www.nintendo.com/3ds and http://www.nintendo.com/switch/.